We are pleased to announce the membership of the 2014-2015 Drammy Committee. We are sorry to lose Laura Faye Smith and Tim Stapleton, but delighted that Charmian Creagle and Glenn Gauer will be joining us, to make the 37th (yes, the 37th!) Drammy Awards Celebration better than ever! Thank you for sharing your wonderful work with us. See you at the theatre! 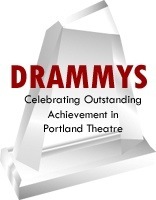 PreviousAnd the 2014 Drammy Award Winners are….